View More In Ironing Sets. 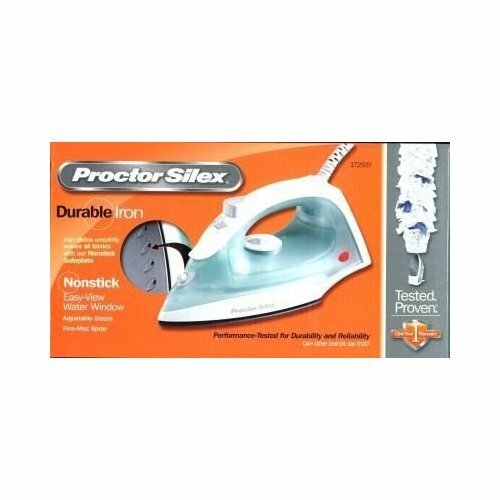 The Proctor Silex Lightweight Steam and Spray Iron features adjustable steam settings, temperature control dial, and On/Off indicator light. Push spray button to release a fine spray of water for difficult wrinkles in cotton or linen.